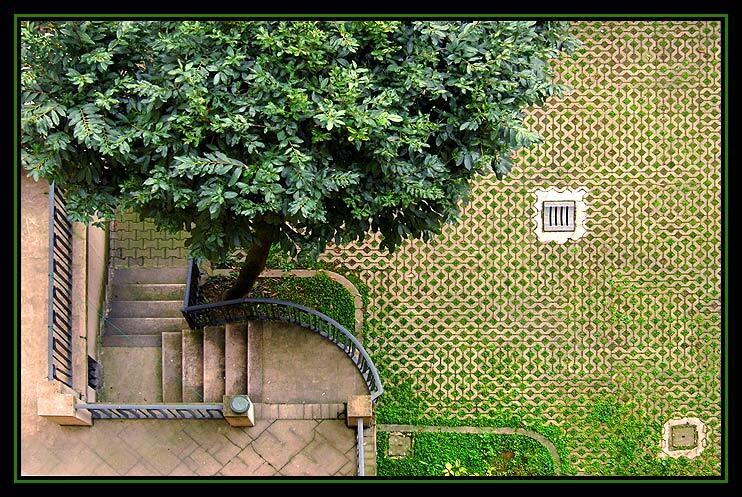 Photo "A Courtyard in Milan"
This photograph was pure luck - I was staying in an apartment in Milan recently and when I went out onto my balcony this was the courtyard below. I loved the feeling of it being almost an optical illusion. I hope you like it. Wonderful perspective. Great composition. Excellent light. i agree with you, John!.. so perfect view.. as if you would have designed it with a magic pencil..
good eye and excellent capture! Good composition and perspective. Best Regards. Another graet work, dear friend!!! Wonderful angle captured! Congrats! You are right! !It's amazing optical illusion and so magnetic view! !I like it!!Regards! !